The host was very easy to deal with and she spoke excellent English. Nice cafe/bar in the basement which was not disturbing. Vesna is very pleasant and energetic person. She was lovely and we appreciated all she did for us (e.g. we forgotten wine bottle opener and she had no problem to lend one). View from the room was amazing, we´have seen directly mountains. Balcony was great as well, we enjoyed breakfasts there a lot! Verry nice place, in the center with verry goid people who can help you anytime. Perfect location, in the city center. In the second floor of a bar. The surrounding mountains are beautiful. Several trekking and bike tracks and ski slopes just few steps. 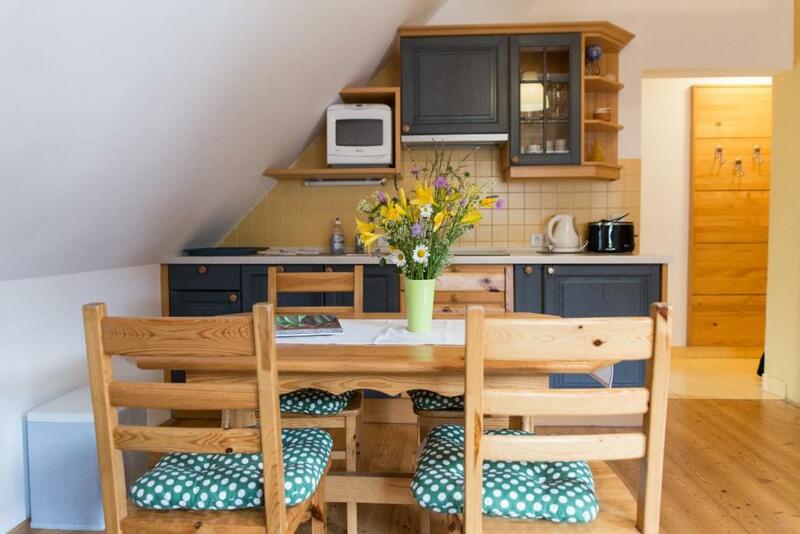 Apartments has a great location, in the centre of the village, so we were close to everything we needed. The terrace was amazing with the view on the mountains. Kitchen was well equipped. The owner was very kind, friendly and tried to suit our needs. Apartment is a great match for a group of young friends or young family. Lokacija, grelci za pancerje, terasa s pogledom na gore..
Super lokacija, krasni gostitelji, dobra cena. Primerno za družino. Otrokom je bila mansarda za spanje zelo všeč. Grelnik za pancerje je super. Iz copat v tople pancerje/drsalke in hop na smučišče/drsališče. Dobra vroča čokolada v spodnjem baru. Lastnica zelo prijazna. Za vsako stvar se lahko z njo dogovoriš. Tudi za dodatne brisače in posteljnino nam ni bilo treba prositi. Vse je na razpolago. Prijatelji so nas prišli obiskati in so lahko brez problema prespali. Gostoljubje lastnice, kavarna v pritličju, nasploh cela okolica. 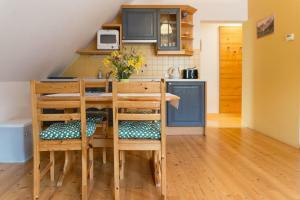 Lock in a great price for Apartments Sport Point – rated 9.2 by recent guests! 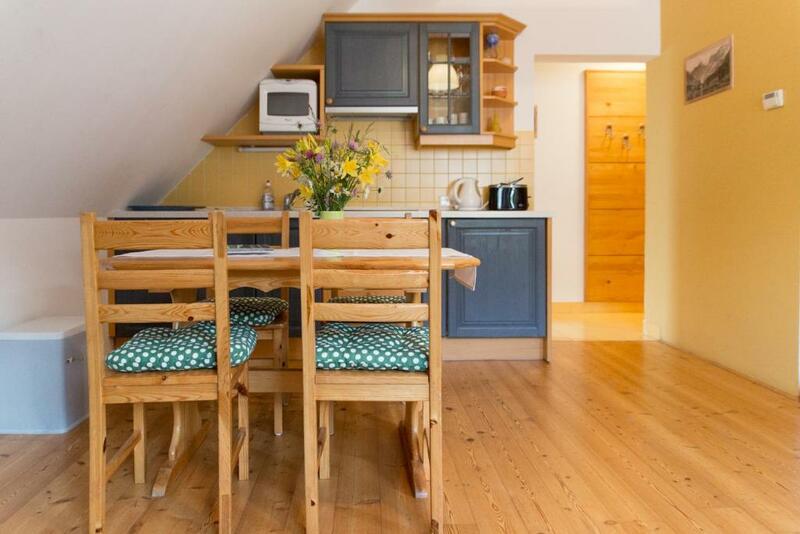 Located within 1.9 miles of Podkoren Chairlift in Kranjska Gora, Apartments Sport Point has accommodations with seating area and TV. Complimentary WiFi is featured. All units come with a balcony, a kitchen with a dishwasher and a microwave, and a private bathroom with shower. There's also a fridge, stovetop and an electric tea pot. Skiing and cycling are possible within the area, and Apartments Sport Point offers ski storage space. Velika Dolina chairlift is 2.3 miles from the accommodation, while Russian Chapel on the Vršič pass is 4 miles from the property. 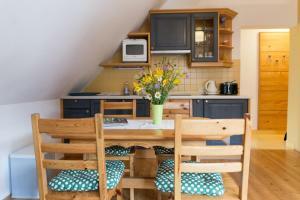 The nearest airport is Brnik Airport, 41 miles from Apartments Sport Point. 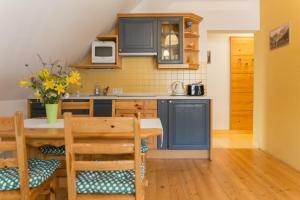 This is our guests' favorite part of Kranjska Gora, according to independent reviews. This property also has one of the top-rated locations in Kranjska Gora! Guests are happier about it compared to other properties in the area. 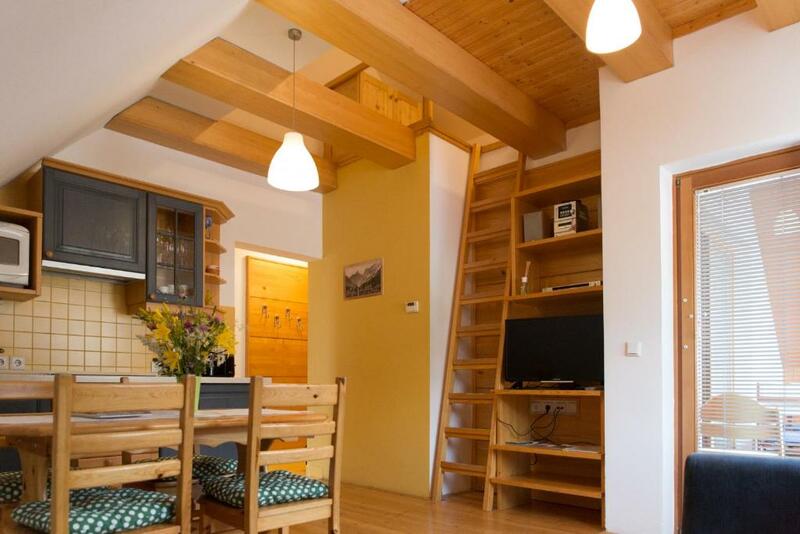 뀐 Located in the top-rated area in Kranjska Gora, this property has an excellent location score of 9.9! When would you like to stay at Apartments Sport Point? The apartment is located in the center of Kranjska Gora and everything is just a few steps away, post office, supermarket, pharmacy, bakery, bank .... the ski resort is a stone's throw from us. Below is our coffee shop Sport point where we serve excellent coffee, fresh croissants, cakes, ice cream, good wine, beer, etc ... The apartment is on the first floor of the house, with separate entrance at the rear. It is an excellent choice for families, couples or smaller groups. The apartment can accommodate 4-6 people (sofa bed). 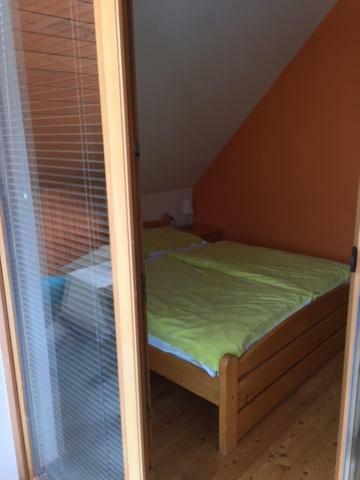 The bedroom is separate, one double bed is in the gallery with access from the living room. From the balcony you have a view on the mountains or on the center on the city promenade. Our beautiful village Kranjska Gora is very romantic and nice place to spend your holidays.....Kranjska Gora is suitable for winter sports, as well as for the summer sports , such as walking, trekking, hiking, biking, cycling downhill ... or only for nature walks. Do not miss to visit the beautiful Jasna Lake, Park Zelenci, Planica with its new Nordic center and ski jumps, neighbour village Mojstrana where are located Vrata valley with view on Triglav, Peričnik Waterfall, Alpine Museum .... etc .. Kranjska Gora can also serve as a starting point for short trips, for example, over the Vrsic in Bovec, to visit Bled or Radovljica, visit capitol Ljubljana (don't miss to visit Ljubljana) as well as to jump across the border to Austria or Italy. 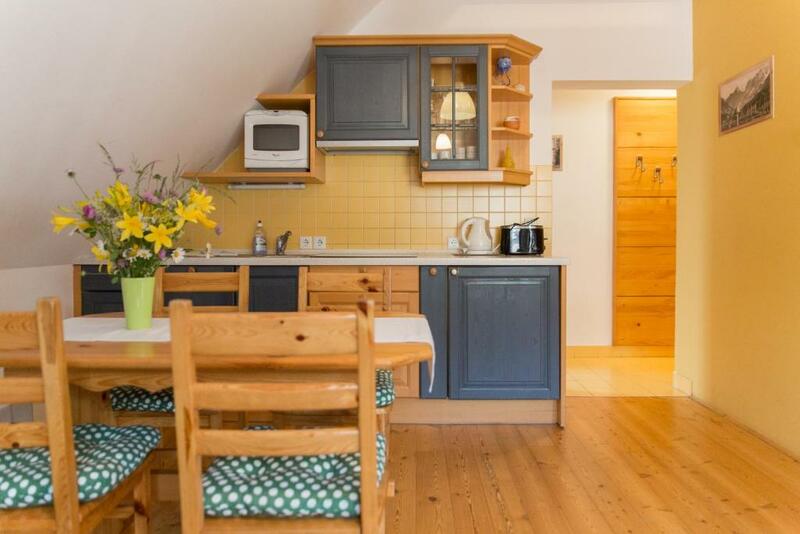 In short, Kranjska Gora is a wonderful choice for your vacation..
House Rules Apartments Sport Point takes special requests – add in the next step! Apartments Sport Point accepts these cards and reserves the right to temporarily hold an amount prior to arrival. Please inform Apartments Sport Point of your expected arrival time in advance. You can use the Special Requests box when booking, or contact the property directly using the contact details in your confirmation. A bit dirty floors and the beds could use a matress pad. Very kind staff and feels like you’re at home. 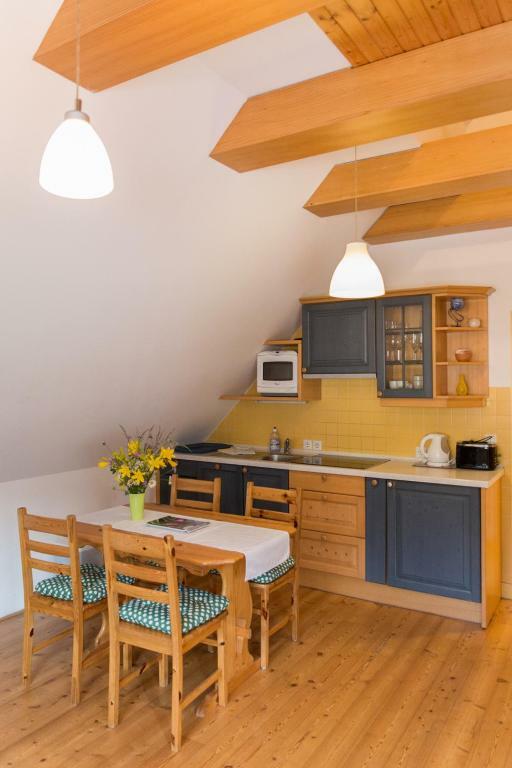 Unfortunately, the photo documentation here on booking is not fully resembling how it looks inside, as everything is nice and pretty, but it is not two room apartment in my opinion. 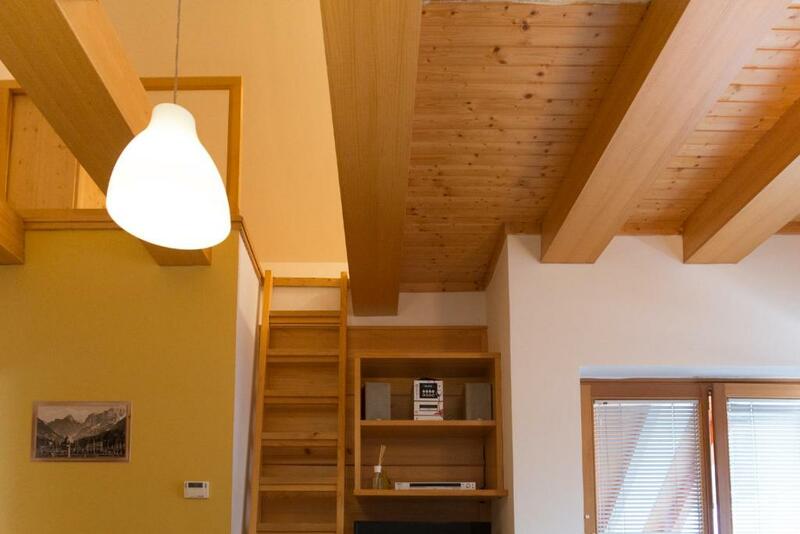 The second "room" is accessible through ladder (like an attic) in the kitchen and there is no door. Also, more shelves for clothes etc. would be appreciated. I mean, if I am with group of friends, I have no problem, but I was with my partner and parents and parents are not in age to climb a ladder and my girlfriend was afraid to.. to we slept in the kitchen on a couch. According to information on booking about apartment, the apartment should be for 6 people with 2 bedrooms, 2 double beds in each and one sofa in living room. It seemed like a nice match for two married couple, when we booked the apartment online. We were disappointed to found out that apartment has just one bedroom with one double bed. The second "bedroom" represented one matress on the floor located on the elevated platform, where was not enough space to stand up and you can get there only by vertical ladder. This situation was not mentioned in the characteristics of apartment or included in pictures, which is very unfortunate. Since we were in no condition to climb the ladder, two of us stayed on the sofa in the living room/kitchen which was not very comfortable, without privacy and without closet to put our clothes. I would recommend to mention disposition of rooms in the description of the apartments and also visualize it on the pictures, it will save disappointment to some guests. Since there is no ventilation in the bathroom except of window, it would be useful to have a clap-net on the window to prevent insects flying in during summer.